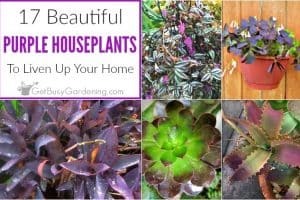 In order to keep your houseplants healthy, they will need to be repotted once and a while, and spring is the best time to repot houseplants. Generally houseplants won’t need to be repotted very often, in fact many won’t need to be repotted for several years. But when a houseplant grows in the same pot for a long time, it can become pot-bound (or root-bound) and will usually need to be repotted. If you put your houseplants outside during the summer, they will probably outgrow their pot faster and will need to be repotted more often. Some plants like to be pot-bound, but most houseplants will start to show signs of distress if they become pot-bound. If you’re unsure, turn the pot on its side and gently remove the rootball from the pot. 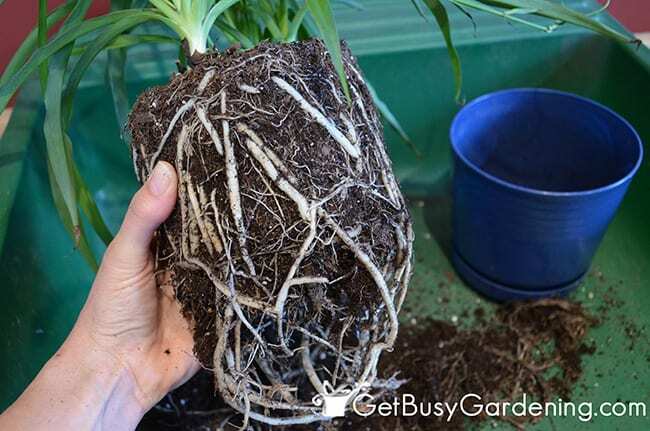 If it’s a dense mass of roots with very little soil left in the pot; or the roots are circling around the inside of the pot, that means the plant is pot-bound. If a plant won’t slide out of the pot and seems to be stuck, that’s also an indication that the plant is pot-bound. Once you determine your houseplant needs to be repotted, it’s a good idea to water it a day or two before you plan to repot it. This will make it easier to remove the plant from the pot, and help the plant recover faster afterward. 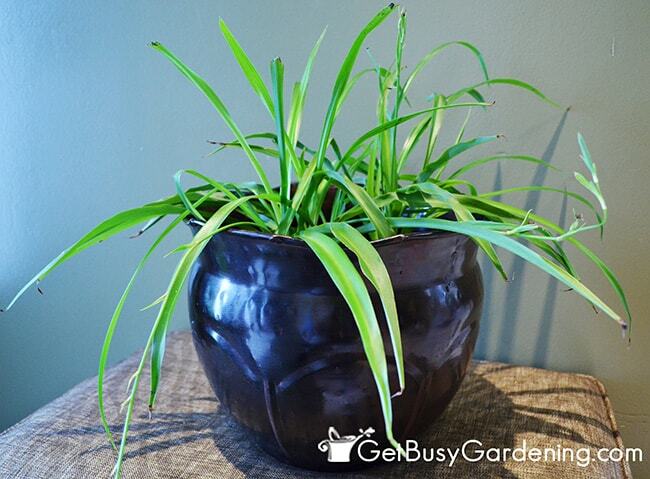 When repotting houseplants, choose a new pot that’s only one size larger than the original pot (e.g. 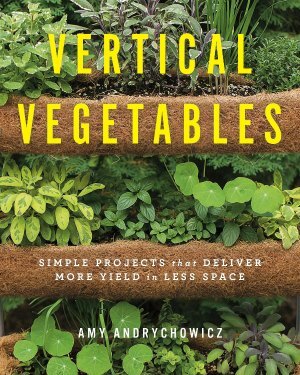 : move the plant from a 4″ pot to a 6″ pot, not a 10″ pot). If you’re reusing a pot, make sure to scrub it with soap and water before putting a new plant into it, my flower pot bristle brush works perfect for this task (plus it’s cute too!). 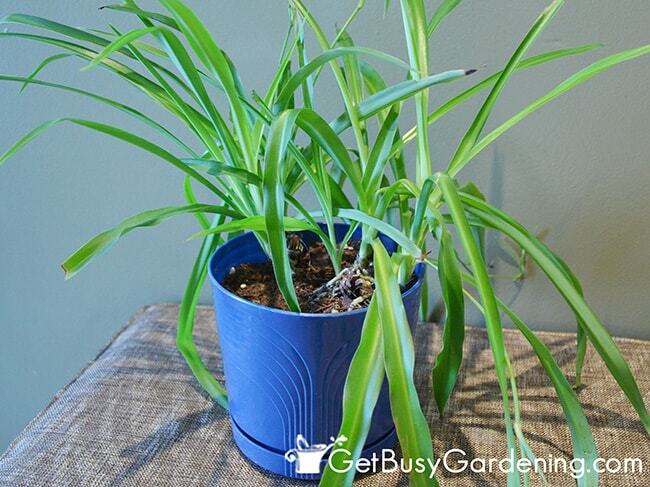 Cleaning the pot is important for preventing the transfer of any disease or houseplant pests. I recommend always using a pot that has drainage holes because it helps prevent over watering. 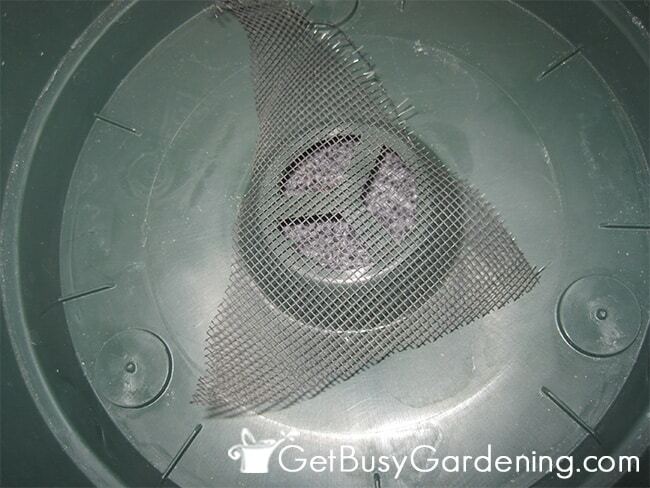 To keep the soil in, while still allowing the water to drain out, cover the holes in the pot with drainage netting, or use piece of screen or landscape fabric. If you struggle with overwatering houseplants, then I don’t recommend using a pot that doesn’t have drainage holes. You can use a simple nursery pot, and then drop it into a decorative container to hide the ugly pot if you want to. Adding material like pebbles or bits of packing peanuts into the bottom of a pot does not add proper drainage, so I definitely would not recommend doing that. You can always drill drainage holes into the bottom of a pot if you want, just be sure to use a masonry bit for clay or ceramic pots. General purpose potting soil can be used for most houseplants. Keep in mind that some houseplants may require different types of soil, or medium – for example orchids require a special orchid potting mix, and succulents prefer a quick draining succulent soil mix. If you’re unsure of what type of soil to use, it’s best to look up the specific potting medium recommend for your houseplant. Always use fresh, sterile potting soil when repotting houseplants. If there’s any loose soil left in the old pot after removing the houseplant, it’s fine to dump that into the new pot. But don’t reuse soil from one houseplant to another; and never, never use garden soil for potting houseplants. 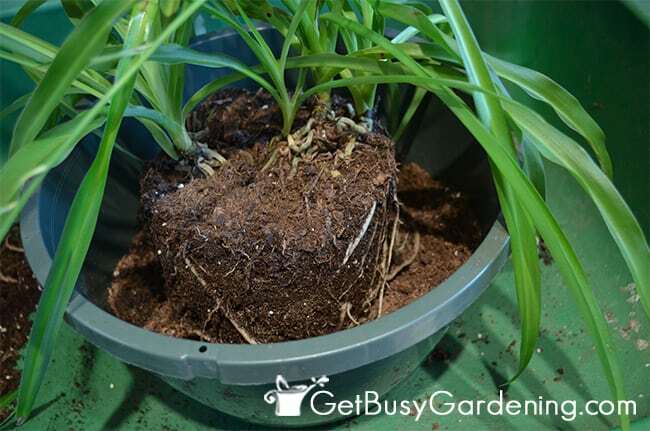 Step 1: Remove the plant from the pot – If there are roots growing out of the bottom of the pot, trim those off before attempting to remove the plant from the pot. Gently tease the plant out of the pot, you may need to tap on the side of the pot to loosen the rootball. If the plant is stuck in the pot, use a knife or hand trowel and gently run it along the inside of the pot to loosen it up. Step 2: Trim off unhealthy roots – Once the plant is out of the pot, inspect the roots and trim off any that are damaged or look unhealthy. 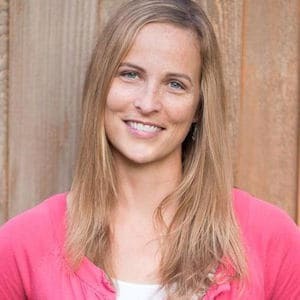 Healthy roots are firm and whitish in color. 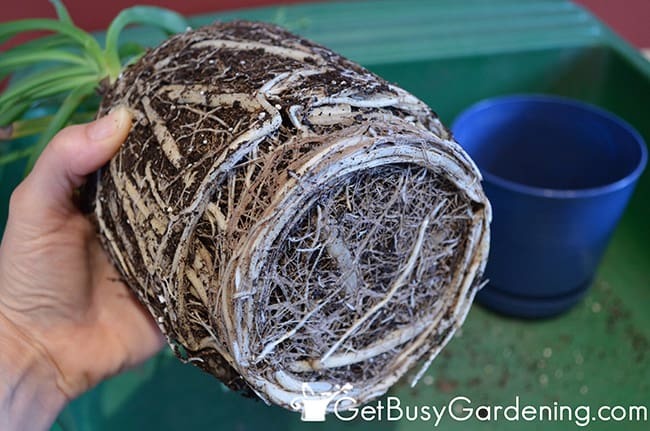 If the roots have grown in a circular pattern, gently tease the roots to straighten them out. This will break the circular growth pattern and help to stimulate new growth. Precision pruning snips or bonsai shears work great for pruning houseplant roots. Step 3: Place plant in new pot – Place the plant in the new pot so that the top of the rootball is at the same level as it was in the old pot. If there was root growth over the top of the soil, you can place the plant slightly deeper in order completely cover the roots with soil. Step 4: Add soil – Center the houseplant in the new pot and fill potting soil in around it, lightly packing the soil down as you go. You don’t need to pack the soil in super tight, but be sure to press it down a bit to hold the plant in place. Step 5: Water the plant – When you’re done repotting the houseplant, water the plant to moisten the rootball and allow the soil to settle. You may need to add more potting soil once the houseplant and the soil have settled into the new pot. That’s it, now you’re done repotting your houseplant. Just be sure to give your plant plenty of time to adjust to it’s new pot. Some plants can droop a bit after they are repotted, so don’t panic. Just leave it alone and let it recover. 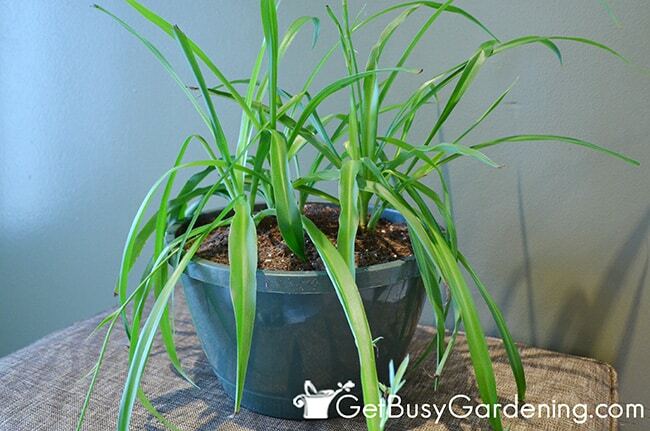 Give your houseplant a couple of weeks to recover before you start fertilizing it again. Once your houseplant has recovered from being repotted, you can start fertilizing it regularly. I recommend using an organic fertilizer rather than chemical fertilizers. They work better than chemical fertilizers and are much healthier for the environment, plus there’s less risk of fertilizer burn. A general purpose houseplant fertilizer works great for most houseplants, or you could use an organic compost solution. 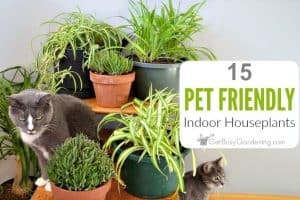 But, just like soil, some houseplants prefer a certain type of fertilizer (like orchid fertilizer or palm fertilizer for example), so be sure to do a bit of research before fertilizing your plants. Repotting houseplants into a larger pot will stimulate new growth, allowing the plant to stay healthy and grow larger. If you have a houseplant that needs to be repotted, but you don’t want it to get any bigger, read my blog post about repotting a large houseplant. Do you struggle to keep your houseplants alive through the winter months? 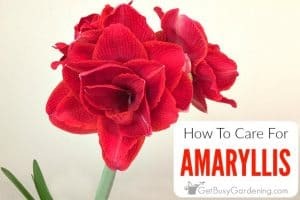 Then my Winter Houseplant Care eBook is perfect for you! 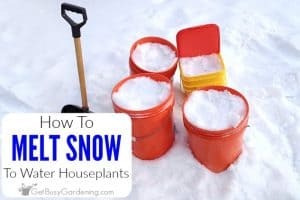 It will give you everything you need to keep your houseplants thrive through the long winter months. Download your copy today! 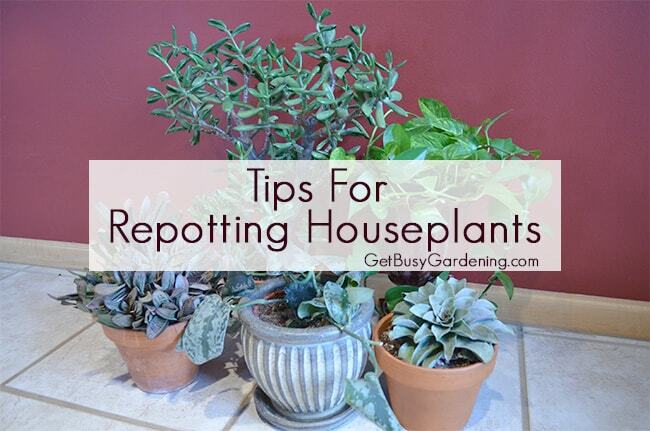 Share your tips for repotting houseplants in the comments section below. Your picture of the pot-bound spider plant roots reminded me of my own experience. I grow miniature sinningias, which are incredible plants for small spaces. I've grown them for years, and I am absolutely amazed how big their tubers can get. It is easy to forget that there is at least as much going on below the soil as that which we see above. Hi Petite Plants – Thanks for your nice comment. Sinningias look like they would be a beautiful plant, are they easy as a houseplant or are they more for the garden? It always amazes me how quickly some plant can become pot-bound. Sinningias are houseplants. And very rewarding ones! I like how small they are. Sometimes the large plants become almost an architectural feature that we tune out. The little ones, though, can grab your focus, draw you down in to their scale, and give you a kind of a "stop and smell the roses" moment. Thanks for the info, I will have to add that one to my "want" list! I already have enough large plants so small is good.